I am incredibly grateful to have had the opportunity to race a few Enduro World Series races each year for the past five years. I’m also very, very ready to be done with this chapter of my racing life. I have a lot of complex feelings on this, and it’s been tricky to try to get them onto a page, but here is my best attempt. 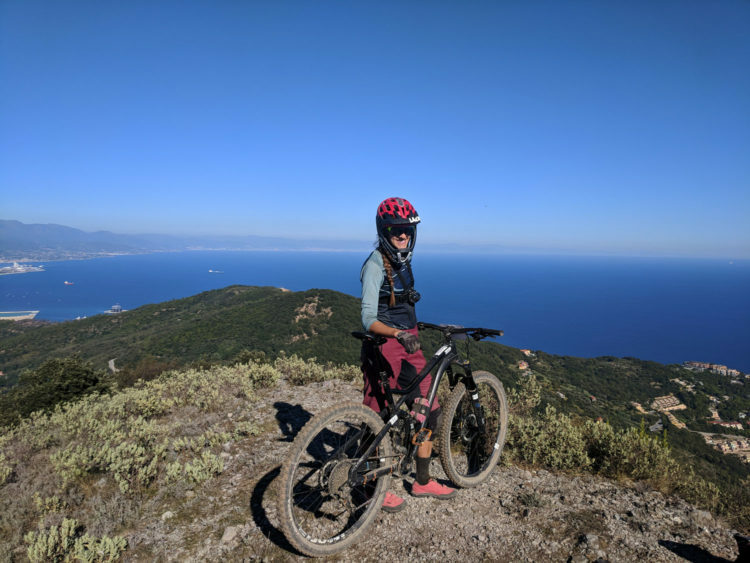 My most overwhelming feeling when finishing my final EWS race in Finale Ligure last Sunday was relief. Huge, massive, relief. And not just because the race was hard — although with 6,000feet of climbing and four challenging stages it certainly was — but just relief to never have to do an EWS race again. I realize the irony of this. After all, I’ve never “had” to do them before. No one was forcing me. I’ve always done it “for me,” but I’ve realized that maybe I haven’t always had my own best interests at heart. Last year I thought I was done racing forever, but over the course of this year, I’ve realized that I still have a lot of passion for racing. I still really, really want to race my bike. But I don’t want to race EWS. That became even more clear over the last two weeks. The views in Finale were amazing, but not quite enough to change my opinion of EWS racing. This isn’t to say I didn’t have fun racing in Ainsa and Finale, but rather that I really, really, really had to work at it (especially in Finale, when a hard crash in practice severely crippled my confidence and left me really not wanting to race). I was able to have fun, mainly because I knew these were my last EWS races, and I wanted to enjoy and savor the moment and the entire experience of it. 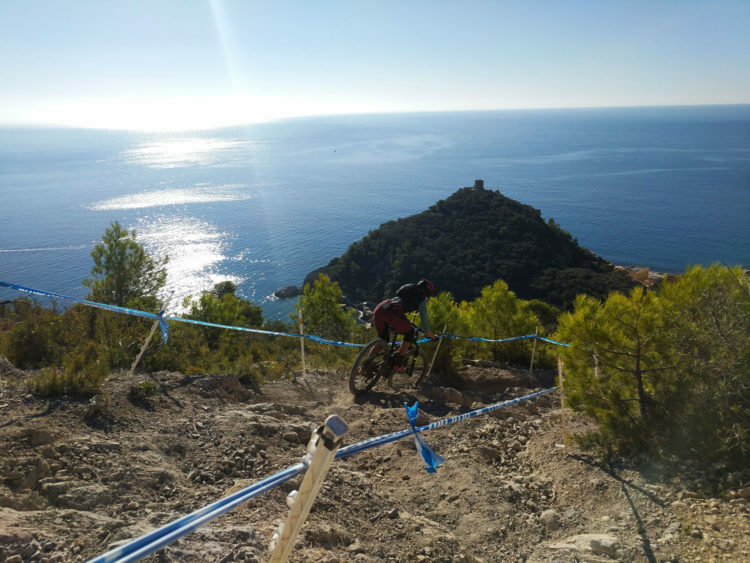 I’ve just had the best season of my life, really rekindled my love of riding and racing bikes, and yet I still couldn’t get through these EWS weekends without some moments of pretty severe misery. I have struggled to try to determine why this is — because my results are so terrible? Because the days are so long? Because the trails are so technical? — but I’ve realized over the past few days that maybe it doesn’t matter why. Maybe I just need to accept at face value that I don’t enjoy EWS racing very much, and that that is completely okay. Over the past few years, I have responded to my dislike of these events by assuming that I just needed to get fitter and faster, and that I would start liking them if my results were better. Which might be the case, but is fairly poor logic. It’s easy to like things if you’re winning after all — in fact, I have a suspicion that many athletes love winning far more than they love their sport. I’m sure I would like EWS races much more if I were getting top 10 or top 20 results, but maybe that wouldn’t be the best test of passion. And could I even get to that level? I don’t like to say things are impossible but the reality is that it would require lifestyle upheavals that I’m simply not going to make (like moving to Europe and more therapy than I can afford), especially for something that I don’t even know if I’m capable of enjoying. I’ve kept coming back to these events, not because I liked them, but rather because I felt like it was a sign of weakness to turn away from something I was terrible at. It smelled like giving up. Giving up on what exactly, I’m not sure, but the point is I didn’t trust my dislike. I feared that I didn’t want to race EWS because it was “too hard.” That I just didn’t like the events because they were over my ability level. But the reality, of course, is that there are plenty of other really difficult bike races that appeal to me. Yes, EWS is grueling and a mental/emotional rollercoaster (at least for me), but it doesn’t have a monopoly on hard, despite what some might tell you. I’m sure I will find plenty of absolutely physically soul-crushing events to do next year, and I’m sure I will enjoy every moment of them (after the fact). Couldn’t have asked for a better, or more dramatic, last EWS stage. I’m really glad I’ve had the opportunity to race EWS, because these events helped me define what I do and do not want to do. It’s been a privilege to race against the fastest in the world, and push against my limits, even all the times I found out that yupppp, hellllo these are the limits, instead of busting through to previously unsuspected greatness. It’s been a gift, even all the times my ego (and body) got absolutely raked across the coals jagged rocks. I have challenged myself, surprised myself and (a few too many times) hurt myself. It’s been a privilege and a gift and an opportunity — and yes, it is possible to acknowledge all that and still step away. EWS is not for me. I’ve known that for awhile, but now I am officially done judging myself for it. Thanks for the comment, Tash. I loved Tassie in 2017 so hopefully I can get back there just to ride one day!